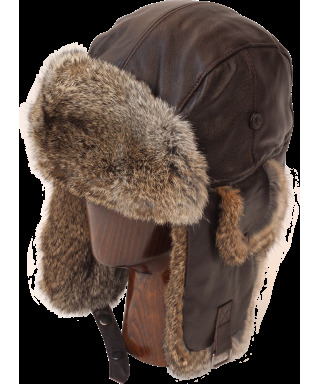 Our aviator hats are modeled after the headwear worn by bomber pilots in Word War Two. 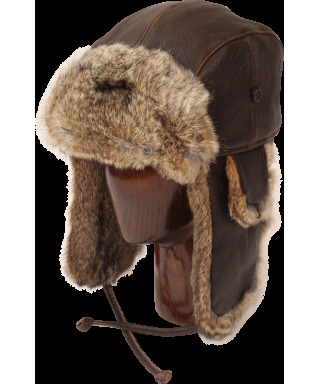 Early bombers were unpressurized, barely heated and reached temperatures as low as -40F. 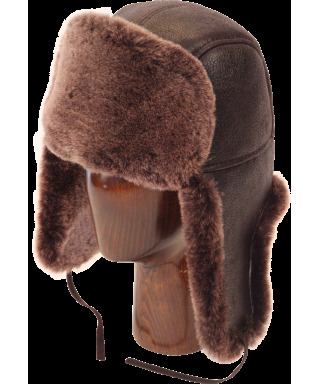 Keeping warm was a matter of life and death! 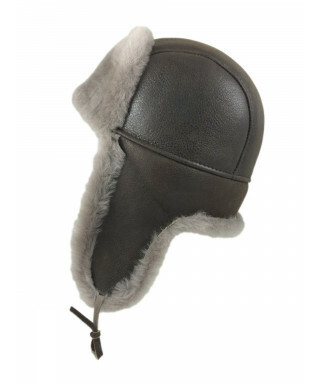 So whether you're running errands or plowing through a blizzard, keep your head warm with our aviator and bomber hats. 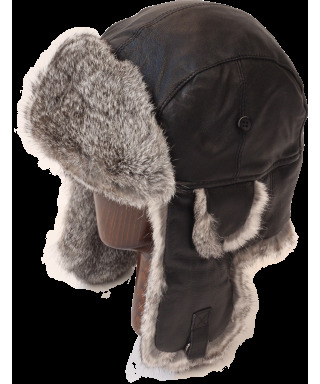 Our aviator and bomber style sheepskin hats are the perfect combination of warmth, style and durability. 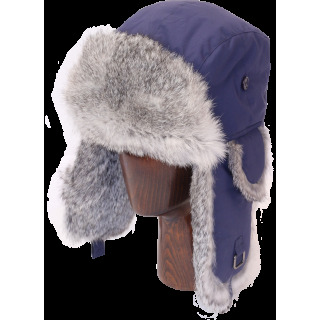 Available in multiple colors, you'll be completely happy with these hats, we guarantee it! 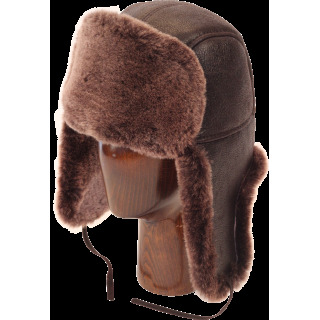 These B-52 hats are designed to keep your head warm in even the coolest of climates. 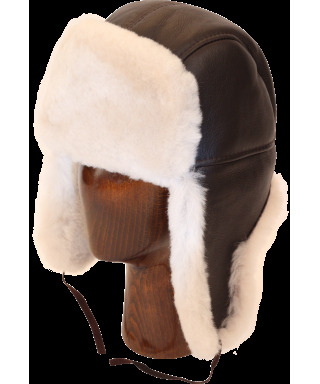 Looking for a classic Aviator hat with the ruggedness of leather and the soft warmth of rabbit fur? Well look no further! 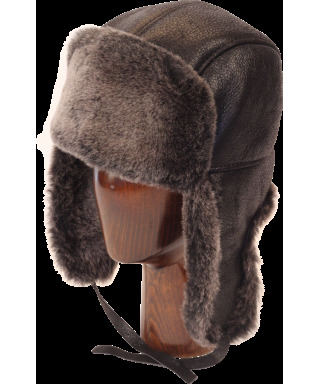 This category has our three top sellers including our Vintage Rodeo Leather Rabbit Fur Aviator and the classic leather and lambskin aviators in Black and Brown. 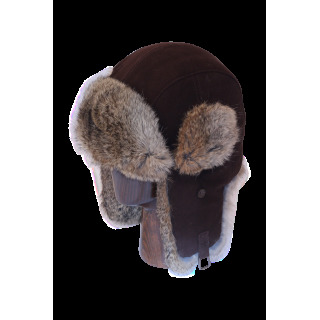 These hats have a wool shell and a rabbit fur lining for a durable and great looking hat that seals in the warmth. Available in Red and Black/Gray check patterns. Hat's so unique they get their own category! 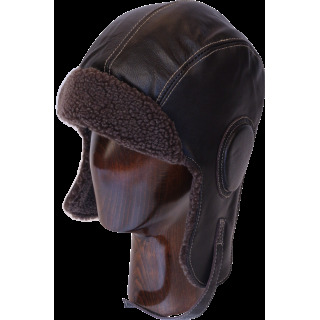 Pilot hats inspired by the headwear worn by pilots and crew flying in WW2 in the unpressured and unheated cabins of bombers. 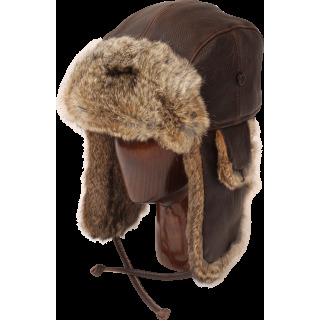 This Aviator style hat is made from 100% sheepskin and will keep your head very warm while looking great. 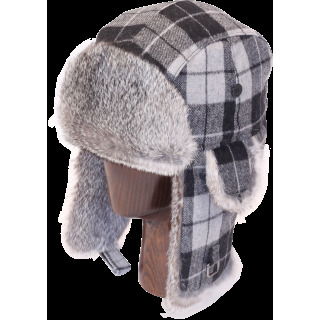 The ear flaps can be snapped to the top of the hat, the side, or worn down depending on the weather and personal preference. 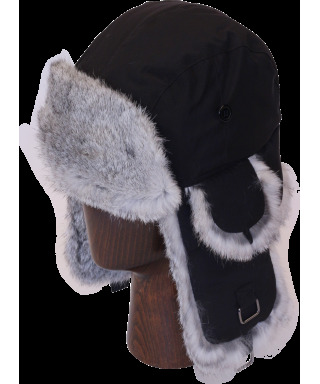 In addition, a cinch cord in the back lets you wear the hat perfectly tight to your head or create a little breathing room when you want it. 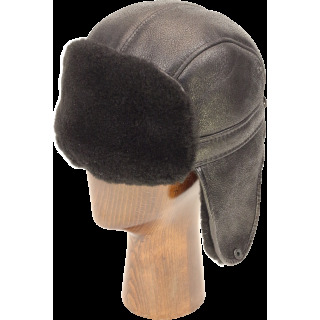 Combine the warmth of rabbit fur, the suppleness of suede and the coverage of an aviator hat and you have a combination that will keep you comfortable and stylish.